Teenagers need guidance to build their first budget. But with sporting events, extracurriculars, and homework to worry about, it can be easy for parents to let budgeting skills fall through the cracks. And if you were never taught how to budget by your own parents, you might not know how to teach your children this skill. Helping your teenage child create a budget does not have to be overwhelming or time consuming. The important thing is to be proactive and consistent as you teach your teen how to handle money in the real world. Providing a monthly allowance will help your child recognize the importance of long-term money planning. If they blow the entire month's worth of allowance in the first weekend, they'll learn an important lesson in delaying gratification. The most important thing you can do is be consistent about paying the allowance each month, and refuse to bail your child out of a problem if they use up their money before the month is over. If your teenager also decides to take a job, consider that a supplement to their allowance, rather than a substitute. Just as you would hate to see your initiative at work penalized by a reduction in pay, your child would hate to see their allowance docked just because they're showing initiative in getting a job. Many parents allow their teens to use their allowance and salary as pocket money. 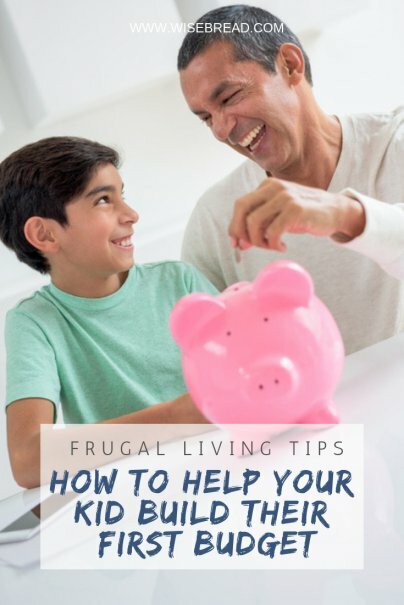 While there's nothing wrong with letting your kid have fun money, a big part of budgeting is making sure you have enough money to cover fixed bills. You can help your teenager learn to do this by asking them to take over a necessary bill. For example, you could ask them to cover a portion of the family cell phone plan, or their portion of the automobile insurance. Learning to pay these bills on time will give your teen an important first taste of what it will be like to pay their own way as an adult. It's likely that your child has some big goals for the future, whether that's going to a private college or buying a car. You can show them that they can achieve these financial goals through targeted savings accounts. Financial tracking is a necessary part of creating a healthy budget. They should know where their money is going each month, and whether those expenses were worthwhile. If they discover they're spending a good portion of their allowance on going to the movies, introduce options to them, like discounted movie passes or skipping the popcorn, soda, and snacks while there. Remind them to spend their money consciously. Plan on checking in at least once every two or three months to see how their finances are faring. They should get into the habit of reviewing how they've spent their money and whether those expenditures align with their goals. This will set your teen up to regularly review their budget on their own, and one day have regular budget meetings with their spouse. Budgeting is the cornerstone of financial health, but knowing how to budget is hardly intuitive. Spending can easily become automatic and savings be pushed to the back burner. By getting your teen used to reviewing their finances and planning for their future, you're creating a powerful habit that will guide them wisely for the rest of their lives.